Former reality TV star Peter Manfredo Jr. is on the verge of world title hardware. The 29-year-old Rhode Island native will meet Mexican-born right-hander Angel “Toro” Hernandez in a scheduled 12-rounder for the International Boxing Organization middleweight championship on May 22 at the Mohegan Sun Casino in Uncasville, Conn.
Manfredo, who reached the finals of the inaugural season of “The Contender” on NBC, is 34-6 with 18 knockouts in a professional career that began in 2000. 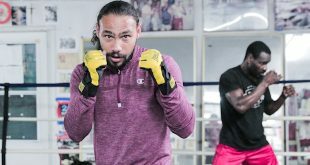 He was beaten in a challenge for the vacant IBO title at 168 pounds in November 2008, but has since won three straight fights at Middleweight – including stoppages of Walid Smichet and Ronald Weaver in 2009, along with a unanimous decision over once-beaten prospect Matt Vanda on Jan. 29. He is No. 10 at 160 pounds in the IBO’s computerized rankings for March. 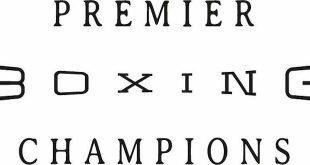 Hernandez, a professional since 1996, has won two straight and four of his last five, including a 10-round decision over second-generation slugger James McGirt Jr. and a sixth-round stoppage of former world title challenger Antwun Echols. Unbeaten incumbent Hekkie “The Hexacutioner” Budler will take on a familiar foe in defense No. 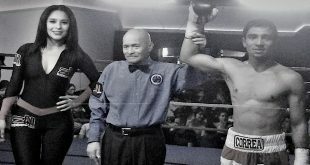 1 of his International Boxing Organization junior flyweight championship. The 21-year-old Budler, who defeated Juanito Rubillar for the vacant title in February, will once again face Rubillar on July 19 at the Emperor’s Palace in Kempton Park, South Africa. 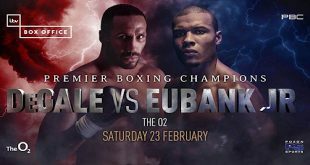 The two met for the first time on Feb. 27 in Kempton Park , where Budler captured the title with a razor-thin majority decision. Both Rudler and Rubillar sought a rematch after the last fight in what was arguably a candidate for “fight of the year” in South Africa . Judges Lulama Mtya and Deon Dwarte gave Budler the verdict by 117-113 and 115-113, respectively, while Isaac Tshabalala saw it even at 114-114. Prior to the defeat of Rubillar, Budler had won the IBO’s All-Africa title at 108 pounds and defended it twice, including a one-round stoppage of Motswaki Moselesele in October 2009. He is 15-0 with five knockouts. Rubillar, who turned 33 in February, debuted as a professional in 1994 with a bout in his native Philippines and is 48-14-7 with 23 KOs. The super middleweight championship of the world is again up for grabs. Cameroon-born title-holder Sakio Bika, now a resident of Australia, was stripped of his 168-pound title for inactivity, according to International Boxing Organization President Ed Levine. Bika won the championship in November 2008; but did not defend it and had not fought since a one-round TKO of Nestor Casanova in a light heavyweight bout last July. That win moved his record to 28-3-2 in a career that began in 2000. Levine said a bout for the now-vacant title was “under final negotiation” and would be announced soon.